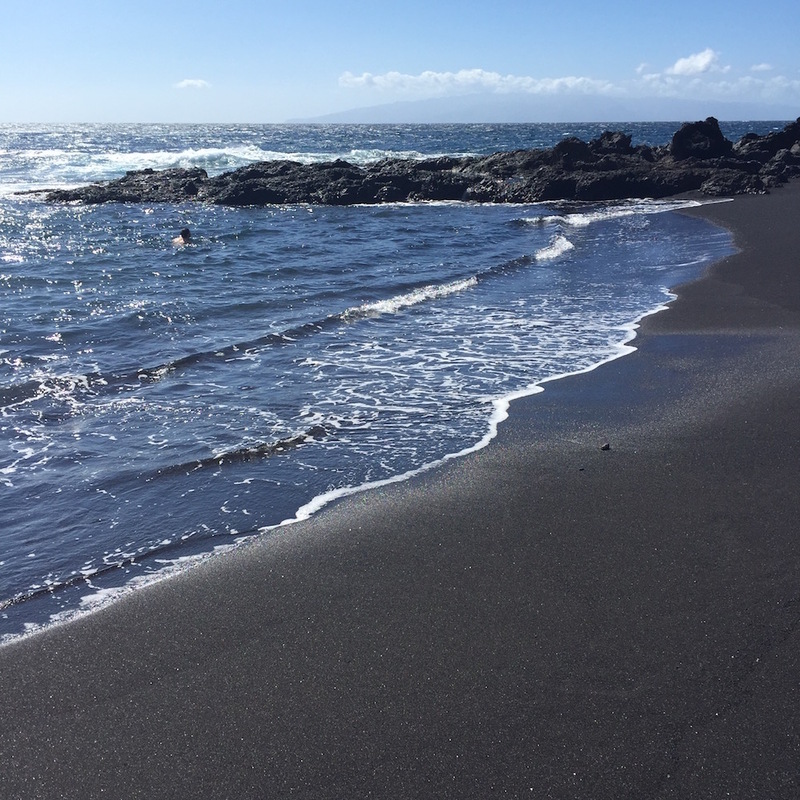 Resident travel blogger, Anna Parker continues with her series of 'A weekend in...' with Tenerife as the latest instalment. Cards on the table… We only booked a long weekend in Tenerife because it was all I thought we’d cope with. The Canaries aren’t renowned for being sleepy, luxury or boutique. But I am always happy to be proved wrong so we decided to give it a go. Winter sunshine was needed for a short break before going into an intense period at work. There’s no time difference and it’s a 4 hour flight - the only drawback to a short trip is that much of a day is lost to travel. But 4 hours south is enough to be in a far warmer climate. Our trip was in February and we had sun-bathing weather every day. And we found some sleepy bits and a good hotel. So we could certainly have stayed longer. With hindsight it worked well as a long weekend. And I can confirm, there are quiet corners! There are two airports on the island of Tenerife. Our flight was to the south, to Costa Adeje. Away from the towns it is a really pretty part of coastline, with stunning views over to the island of La Gomera. Flight timings worked a little better to this airport. There are smaller and chicer hotels dotted across the island. The first thing that impressed me was in my research was the variety of accommodation. Of course plenty of the large resort-style options the island is ‘famous’ for but so much more. Small Luxury Hotels and Relais et Chateaux both have a presence. We chose to stay at the Gran Melia, in their Red Level hotel within a hotel. We wanted a lazy few days away so having food choices on site appealed. I also was ante the smart hotels in Costa Adeje as they’re pretty stacked up. Thankfully the ‘Red Level’ is a separate part of the main hotel, far smaller and selling itself on a boutique basis. The grounds in this part of the hotel were elegant, relaxing and had plenty of privacy. Guests get the benefit of ‘resort life’ too with happy hour each evening and a really friendly set of guests as a result! We had some raucously funny evenings! Assuming you arrive on the Friday evening then can I recommend starting with some Cava. I used to turn my nose up at it in favour of prosecco or champagne. But some of the Codorniu vintages are excellent. By chance there’s one called Anna… I indulged. All week! Whilst most people seemingly go to Tenerife to bask in the sun on the black volcanic beaches, there is in fact plenty to see. The scenery is quite stunning. And anyone that likes palm trees will be very happy! With just a weekend there are a few things that need to be seen. One cannot ignore Mount Teide - the volcano looms up in the middle of the island. The first time we spotted it was quite surreal - I was standing by the pool in a bikini and looked up and there it was snow-capped! It is clearly very high to have such a temperature differential. The snow was actually quite unfortunate as it meant we weren’t able to go and visit. But this has to be the top attraction for outdoorsy types. Plan ahead and through the national park website pre-book a free ticket to climb right to the top. If you don’t fancy that it is a stunning drive through the moon-landscape national park and I assume that even from the car parks near the top, the views must be spectacular. Having got as near as we could to the volcano we headed to Masca. It is a hidden perched village and the scenery is spectacular. It’s a busy spot and just a short walk from where the parking is, pretty steep – so trainers are best. The drive there is dotted with switch-backs on the road, so many opportunities for photos and not looking down at the drop below! The town of Los Gigantos we stopped at for lunch. It is a busy tourist spot but not one of the large towns dominated by unwielding resorts. There is actually a Michelin * restaurant in the town, but you’ll need to plan ahead for that one! The rest of the time I really would recommend just kicking back and relaxing – beach, pool, terrace, cava, tapas, repeat. Had we been there for longer then it would have been excellent to have hopped across to La Gomera. There is a regular ferry and plenty of accommodation too. It’s a far sleepier place than the main island and I can only assume that the views back across to Mount Teide must be pretty special. The Gaunches statues on the waterfront in Candelaria also appeal, as would spending a day exploring the north of the island at leisure. There is also complete variety of beaches - where we were it was black sand (takes some getting used to) but there are white beaches and azure water to be found as well. My husband has actually been back to the Canaries since, on a yacht charter holiday with friends. Another great way to explore - they had the benefit of getting to visit a real variety of islands and if somewhere was busy they could instead anchor overnight in a quiet bay. Tenerife offers year round sunshine and whilst so many people overlook it, with some careful planning there is definitely something for even the fussy traveller like me!